Saved from perishing in Victoria's sometimes misinformed water catchment programs, we have River Redgum with beautiful 'fiddleback' colour and figure. Due to it's rapidly diminishing availability we reserve a 'power of veto' to refuse sales for what we consider might be inappropriate uses. Suitable for exceptional floors, benchtops, stairtreads and fireplace surrounds the only limitation on this timber is its availability. 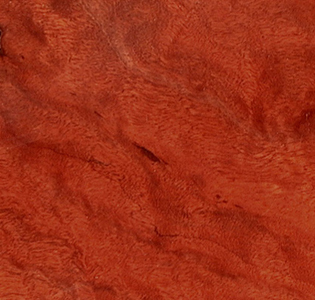 Red gum is so named for its brilliant red wood, which can range from a light pink through to almost black, depending on the age and weathering. It is somewhat brittle and is often cross-grained, making hand working difficult. 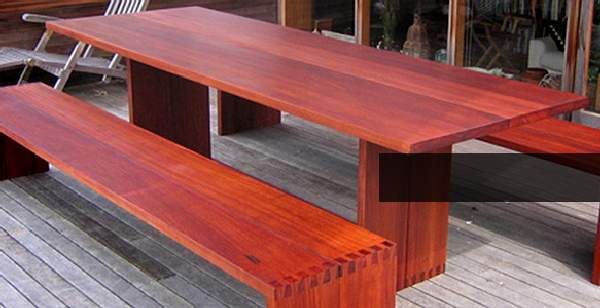 Traditionally used in rot resistant applications like stumps, fence posts and sleepers, more recently it has been recognised in craft furniture for its spectacular deep red colour and typical fiddleback figure.